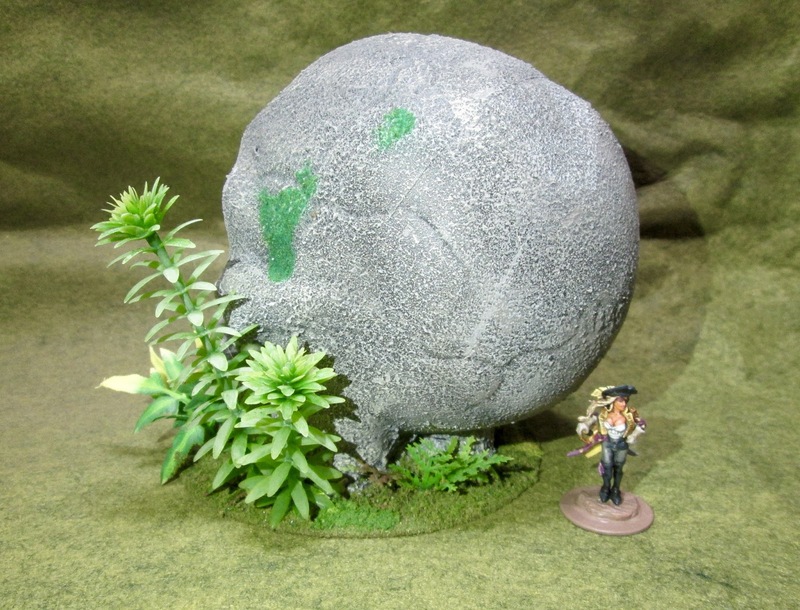 Ghost Archipelago Skull Rock Terrain From Dollar Tree Halloween Decor | H.A.W.K.S. 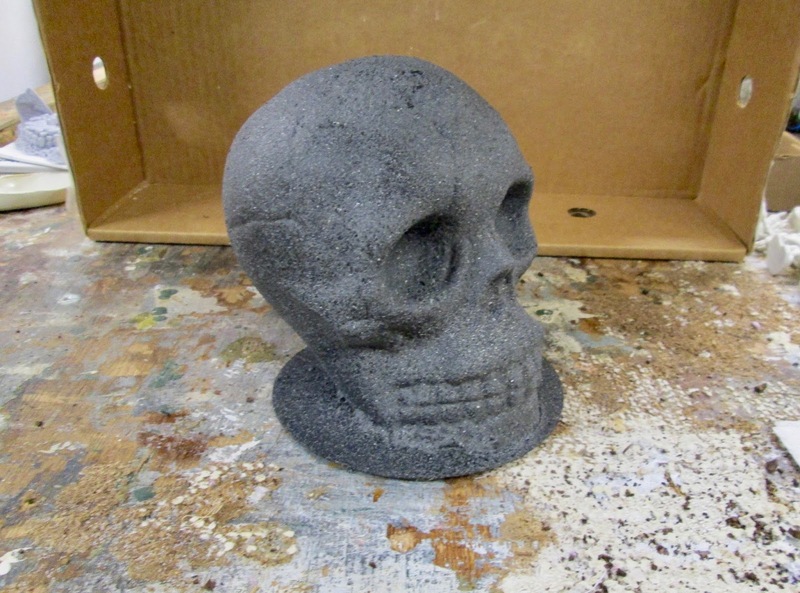 Chris Palmer This past week my local Dollar Tree started putting their Halloween decorations on the shelves, and I grabbed one of their plastic skulls to make a skull-shaped rock terrain piece for Ghost Archipelago. 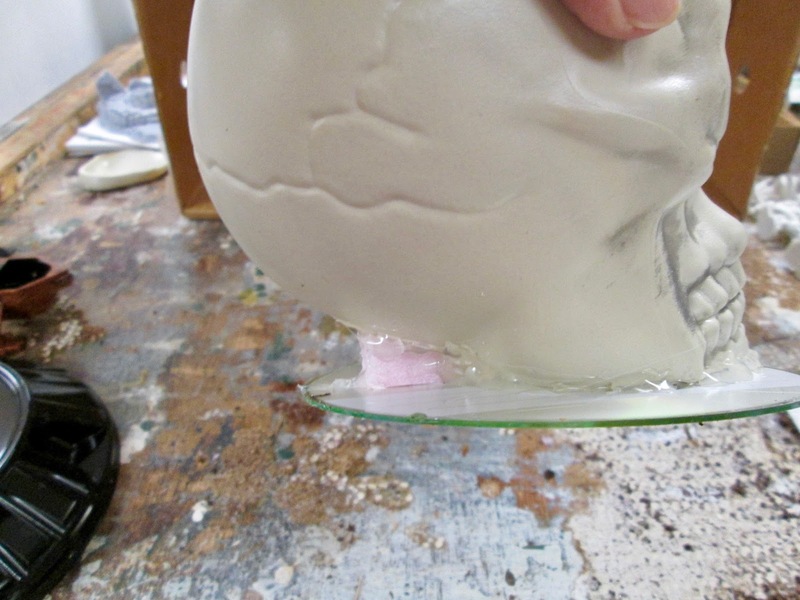 I began by slicing off part of the lower jaw at an angle, so the skull would sit more upright and less leaned back. I then hot-glued it to a CD. I also hot glued a bit of pink foam scrap under the back overhang so it wouldn’t look quite so unbalanced. 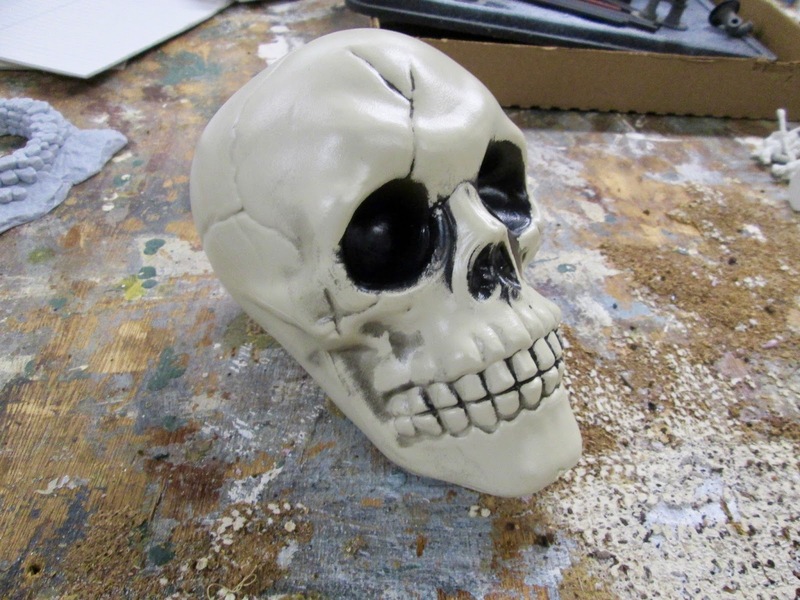 I then sprayed it with flat black primer; and when that was dry, I sprayed it with stone texture spray paint. 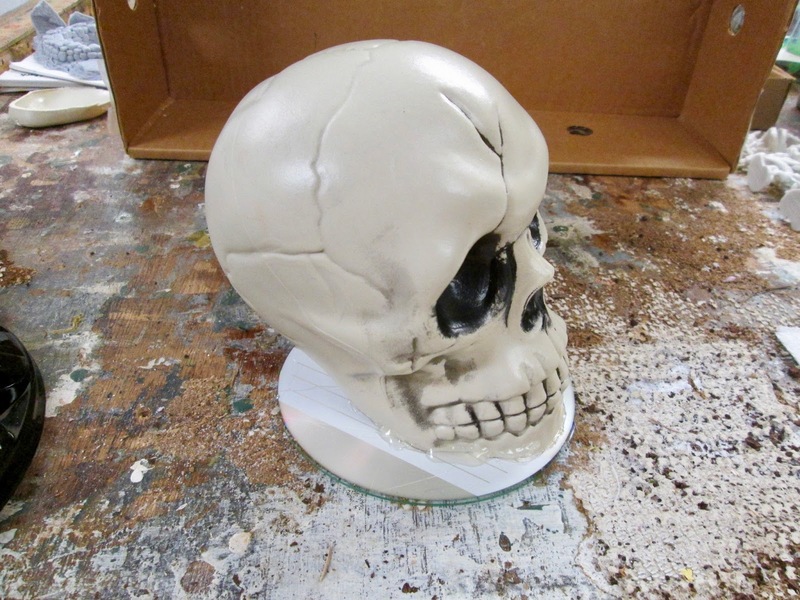 When the stone texture coat was dry, I drybrushed the skull with various light grays. 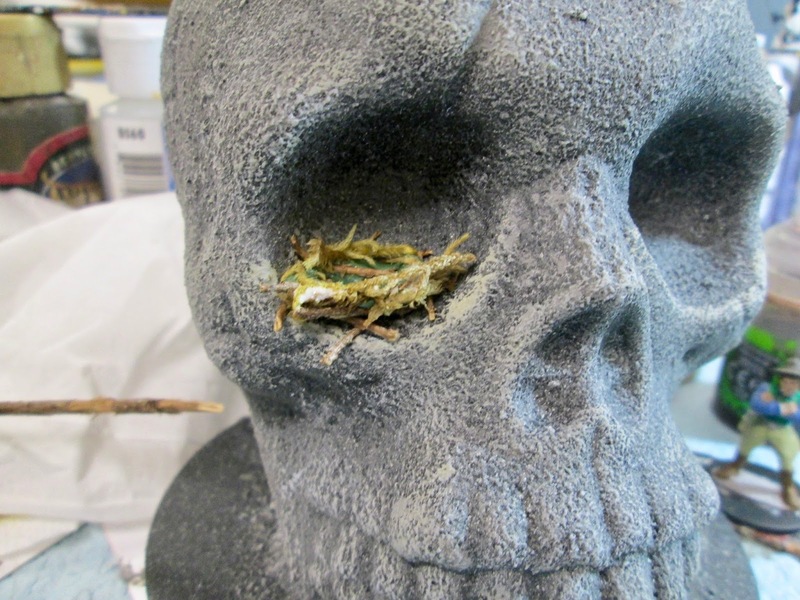 When the drybrushing was dry, I used a little green stuff, some small twigs, and some spanish moss to make a little bird nest to sit in one of the eye sockets. 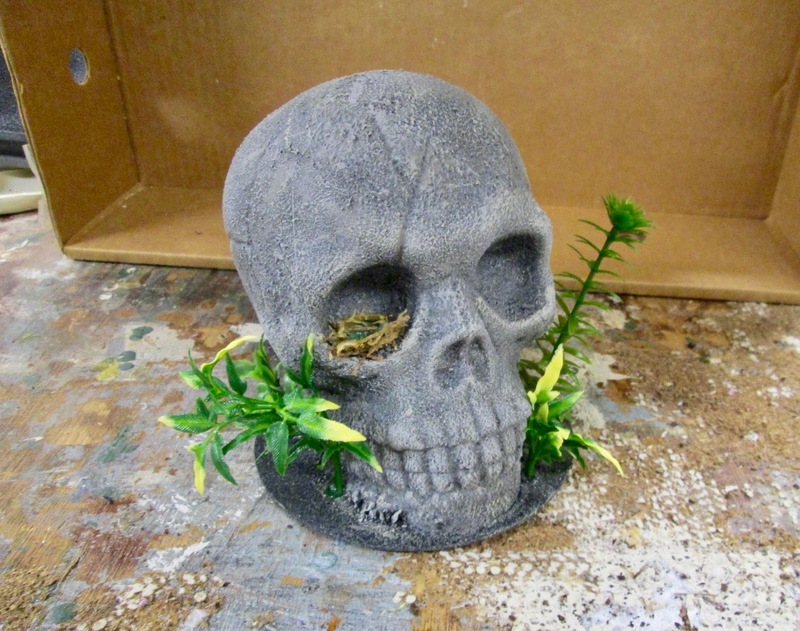 I then hot glued various plastic aquarium plants onto the base. After that, I flocked the base and added some more clump foliage and some grass tufts. Finally, I sprayed it with some Testor’s Dullcote matte spray paint. I’m very pleased with how this turned out! 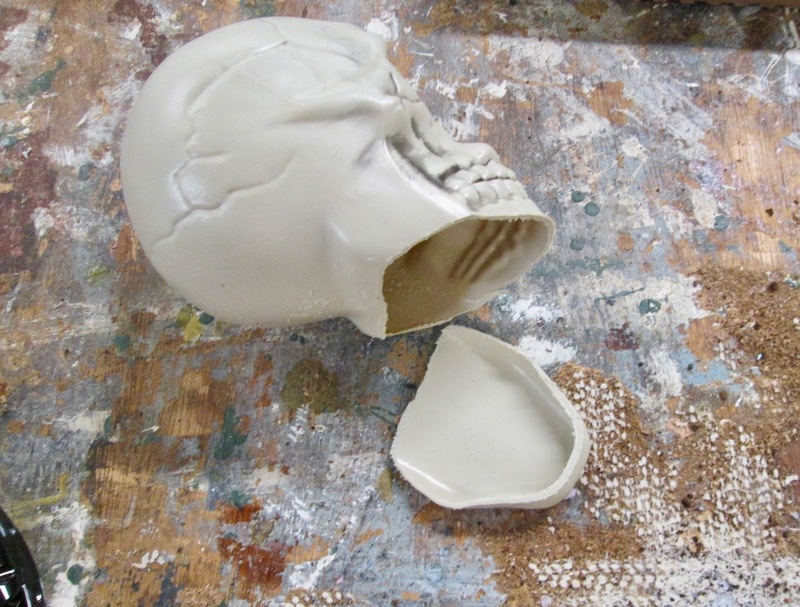 I’m thinking I may like to make some smaller ones as well. You are the master of Dollar Store alchemy! I love tinkering with Dollar Store stuff as it is very gaming budget friendly. I look forward to your embracing that as part of your curriculum vitae Chris! The bird’s nest is a nice touch. 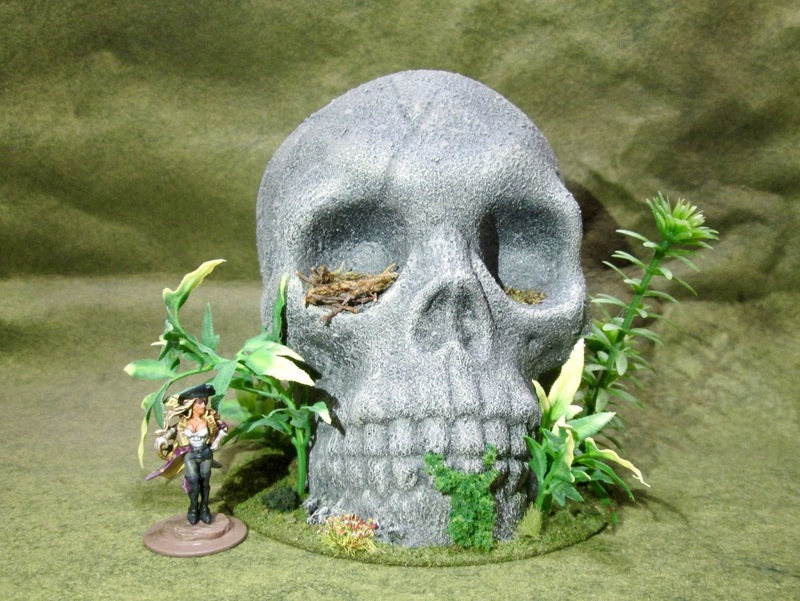 I did something similar very many years ago for my skull island pirate games. Thanks, Buck! Yes, I vaguely remember that now that you mention it. I think we also may be able to use some of your MBA Pulp jungle stuff in the campaign as well. You should know I never get rid of anything. 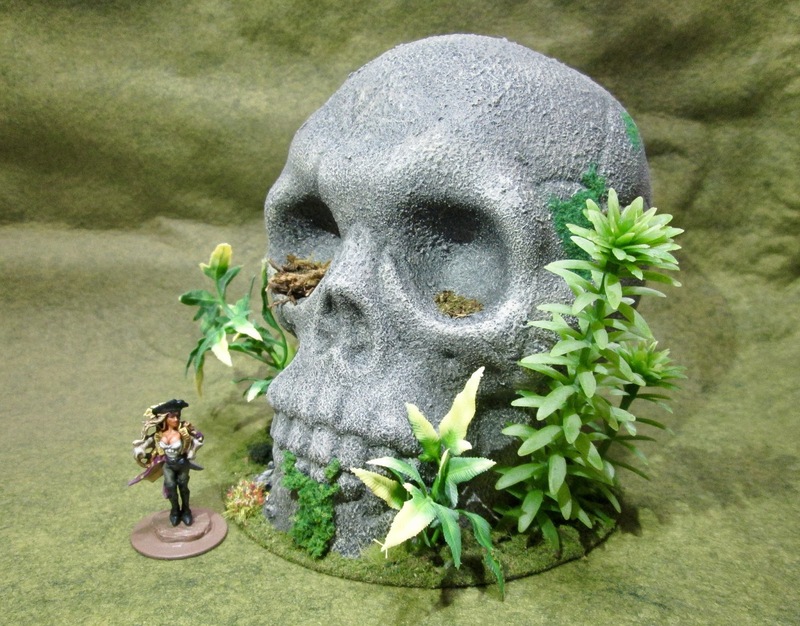 🙂 Yes, I still have the skull island stuff and the MBA pulp jungle stuff. It is lonely and wants to come out and play.